If your period seems to be lasting longer than seven days, you pass large clots, or you routinely start soaking through a maxi pad or a super tampon in an hour, you have menorrhagia, the medical term for heavy menstrual bleeding. Menorrhagia can develop in any woman of childbearing age. 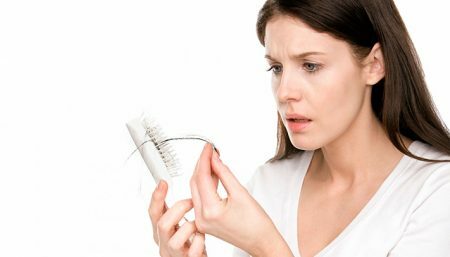 Young adolescent or pre-menopausal women tend to be affected more by menorrhagia. Other factors that may place you at risk of developing menorrhagia includes being overweight, using certain medications such as blood thinners and having a hereditary bleeding disorder. If the degree of bleeding is mild, all that may be sought by the woman is the reassurance that there is no sinister underlying cause. If anemia occurs then iron tablets may be used to help restore normal haemoglobin levels. Treatment may be given for a fixed period of time to replenish the body stores. Alternatively therapy may be continued long-term, in the form of yoga practices, herbal supplement, acupuncture etc. Stand in Tadanasana. Separate your legs to a distance of 30cm (1ft). Keep your feet parallel to each other, with the toes pointing forward. Pull up your kneecaps. Inhale and raise your arms toward the ceiling, your palms facing forward. Push your spine up. Bend from the waist toward the floor. To increase the stretch of your spine, vital for correct practice, press your heels down on the floor. Rest the crown of your head on the blocks in front of you, and place your palms on the blocks beside your feet. Pull in your kneecaps. Extend your hamstringsand pull your inner legs upward. Feel one single stretch from the crown of your head to your heels. Hold the pose for 1 minute. Stand in Tadasana. lace a block on its short side against the wall. Inhale, spread your feet 1m (3.5 ft) apart. Raise your arms to shoulder-level. Turn your right foot out to the right, parallel to the wall, and turn your left foot in, slightly to the right. Bend your right knee, and place the right palm on the block. Raise your left arm. Straighten your right leg. Raise your left leg, until it is parallel to the floor. Keep your left arm stretched up, in line with the right arm. The back of your left hand should touch the wall. Look up at your left thumb. Keep your weight on the right foot, thigh, and hip, not on your right palm. Hold the pose for 20 seconds. Repeat the pose on the other side. Stand in Tadasana facing a wall, about 1m (3.5 ft) away from it. Place 2 of the blocks on their broad sides, shoulder- width apart, against the wall. Place the third block on its long side, 45cm (18in) away from the wall. Separate your feet to a distance of 45cm(18in). Kneel, and place your palms on the two blocks against the wall. Press your palms down on the blocks and walk your feet back, until they are 1.2m (4ft) away from your hands. Make sure that your feet are in line with your hands and the same distance apart. Raise both heels, stretch your legs, then lower your heels to the floor. Stretch your arms fully. Consciously stretch each leg from heel to buttock, and from the front of the ankle to the top of the thigh. Raise your buttocks, stretch your chest, and push your sternum toward your hands. Exhale, then rest your head on the third block. Press your hands down on the blocks, extending your arms fully. Stretch your spine and expand your chest. Keep your throat soft and elongated. Relax your eyes and keep your brain passive. Interlace fingers to form a cup with palms. Place forearms and wrists on a folded blanket. Place crown of head on floor with slight emphasis of weight towards forehead. Walk feet towards head and lift knees gently upward. Straight legs extended. Lengthen both sides of ribcage. Navel-point in. Shoulder blades wide and floating towards kidneys to decompress neck. Follow with Shoulder-stand or Child’s pose. Always maintain a calm and even breath. Lie down flat on the floor, on your back, palms by your side facing down. Exhale and lift your legs up 30, then 60, then 90 and then around 130 degrees so they are extended behind your head. Stay in this position, breathing normally, for a few seconds. Now, gradually, exhale again, and straighten your legs up to 90 degrees, lifting your buttocks as well. Support the back of your trunk with your palms, keeping elbows on the floor. Gradually, walk your hands towards your shoulder blades, as you lift your body higher. Lie down with your back on a Mat. Your shoulders should lie on the edge and your head rests on the mat. Your legs are drawn in and still stand on the mat. Lift your hips off the floor and bring your legs up, over and beyond your head. At this point, lift your back and move your legs further beyond your head. Straighten your spine and keep your back straight. Move your hands toward your back. Place your arms against your upper back and try to place your hands as near as possible to the shoulder blades. Try to place your elbows at shoulder-width. If you cannot do this, put them at a somewhat wider distance from each other. Place 2 bolsters parallel to each other on the floor. Kneel on the bolsters, keeping your knees together. Place the rolled blanket on your shins, and the folded blanket under your buttocks. Sit with your back upright. Keep your chest stretched out. Imagine you are squeezing your kidneys and drawing them into the body. Place your palms on your knees. Look straight ahead. Stay in the pose for 30 – 60 seconds. Sit on a bolster placed at right angles to your body. Place a side of your hips. Sit in Dandasana.Bend your knees and join both soles together. Pull your heels closer to the bolster. Beginners may find it easier to use a bolster positioned parallel to the hips. Push your knees away from each other and lower them gradually onto the blocks. Open out your chest and draw in the abdomen. Initially, hold the pose for 1 minute. Gradually increase the duration of the asana to 5 minutes. Spread the mat on the floor. Place a bolster on the mat, with its long sides parallel to the long sides of the mat. Sit in Dandasana (Staff pose) with the short end of the bolster against your buttocks, and place the folded blanket on the far end. If you have osteoarthritis of the knees or if your legs are feeling tired, place a bolster under your knees. Wrap the bandage around your forehead, following the instructions for Ujjayi Pranayama. Now place your elbows and forearms on the mat. Lower your back, vertebra by vertebra, onto the bolster until your head rests comfortably on the folded blanket. Position your buttocks evenly on the centre of the mat. Spread out your arms to the sides, palms facing up, and rest them on the floor. Straighten your legs and stretch them evenly away from each other, without disturbing the extension of your waist. Exhale, focusing on your breathing, then lift and stretch your diaphragm, keeping it free of tension. Keep your arms at a comfortable distance from your body. If they are placed too near or too far away, your shoulders will lift off the bolster. Stretch your shoulders away from your neck. The centre of your back should be on the centre of the bolster, keep your abdomen soft and relaxed. Expand your chest and relax your throat. Until you feel a soothing sensation in the neck. Ensure that your head does not tilt back. Relax your facial muscles and your jaw. Do not clench your teeth. Keep your breathing smooth and free of tension, but do not breathe deeply. Let your eyeballs relax into their sockets, and allow external surroundings to recede. Feel the energy flow from your brain to your body body as the physical, physiological, mental, intellectual, and spiritual lanes come together. Stay in the pose for 5 – 10 minutes. Sit comfortably so that your spine is raised along with the chest, floating ribs and navel. The most appropriate postures are Padmasana or Siddhasana. Keeping the spine erect, lower the head to the trunk. Rest the chin in the notch between the collarbones just above the breastbone. This is called Jalandhara Bandha. Stretch the arms out straight and rest the back of the wrists on the knees. Join the tips of the index fingers to the tips of the thumbs, keeping the other fingers extended. (The index finger symbolizes the individual soul and the thumb is the universal soul. The union of the two symbolizes knowledge.) Extend the upper eyelids towards the lower eyelids to close the eyes and look within. Exhale completely. Take a slow, deep steady breath through both the nostrils. The passage of the incoming air is felt on the roof of the palate. Fill the lungs up to the brim. Care must be taken to see that the abdomen does not bloat in the process of inhalation. This filling up of the lungs is called puraka. The entire abdominal area from the pubis up to the breastbone should be pulled back towards the spine. Hold the breath for a second or two. Exhale slowly until the lungs are completely empty. As you begin to exhale, keep a grip on the abdomen. After two or three seconds of exhalation, relax the diaphragm gradually and slowly. While exhaling the passage of the outgoing air should be felt on the roof of the palate. This exhalation is called rechaka. Wait for a second before drawing a fresh breath. This waiting period is called bahya kumbhaka. The process described above completes one cycle of Ujjayi Pranayama. Repeat the cycles for five to 10 minutes keeping the eyes closed. Lie on the floor for Savasana. A definitive treatment for menorrhagia is to perform hysterectomy (removal of the uterus). For a women suffering from Menorrhagia, the diet should be low in animal fat and high in fish oils and linolenic and linoleic acids (vegetable oil sources). 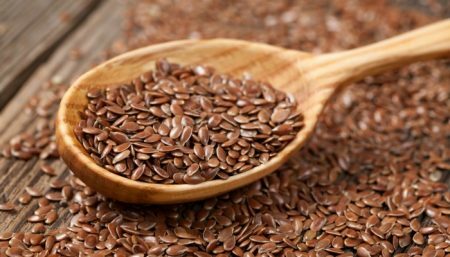 Two foods that have been repeatedly mentioned in their ability to regulate the menstrual cycle are flaxseeds and soy protein.